Social sharing is one of the most powerful forms of blog promotion that you can engage in. According to a recently published Shareaholic study, Facebook alone accounts for 5.65% of referral traffic. In June, Pinterest drove more traffic to websites than the Bing search engine. And the traffic numbers alone don’t tell the whole story. When you optimize your WordPress site for SEO, there is just one positive outcome – a high ranking, followed by referral traffic. On the other hand, social media allows you to grow a following, to engage with people, and to establish relationships. Driving traffic is just one of many benefits – every social media account you have becomes an asset in its own right. So as a WordPress user, social sharing should be as important to you as it is to anyone. With that in mind, I set out to pick the brains of a veritable social media expert and all-round nice chap – Leo Widrich of Buffer. He had some fascinating insights regarding social sharing, which I am excited to share with you today. Enjoy! First of all, can you tell us a little bit about yourself, and Buffer? Hi Tom, greatly appreciate the invite for this interview. So I started out working on Buffer a bit over a year and a half ago. Originally, I’m from Vienna, Austria. I went to study in the UK where I met my Co-Founder Joel, who first built Buffer all from scratch. Today, what I mostly work on with Buffer is to look after marketing, on a day to day basis, that means I answer a ton of emails, write blogposts and see how else we can delight users better. Buffer in short is a smarter way for you to share to your Twitter, Facebook and LinkedIn account. Whenever you are reading an article you can add it to your Buffer right from the page your are on with our browser extensions. From there, it will get added to a queue and be posted for you, well spaced out over the day, at optimal times. Our readers are avid WordPress users. 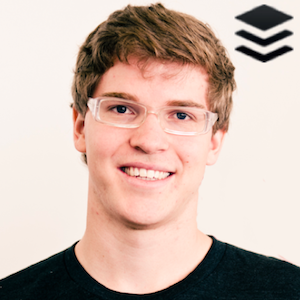 For those who are not familiar with Buffer, how can it help them in what they do? That’s a great question. For WordPress users, what we’ve found to have the most impact for users is to add a Buffer button to the sharing options. What we’ve found is that readers are often hesitant to share a post, purely because it might be late at night, or early in the morning. Or if they have just shared something a few minutes before. By simply adding every post to their Buffer, you don’t have to worry about when or how many updates, as they are always well spaced out over the day. We also did some research to see how well Buffered updates performed, which was a huge benefit of the Buffer button. We found that on average Buffered updates did 200% better, which at the end of the day of course means more traffic for you. When it comes to social sharing, you are an expert. For people who want to increase their exposure through social media, what is the most valuable tip you could give them? Frequency: When we did our research at Buffer to find out which posts did the best, we found that the most crucial aspect is not timing, but actually frequency. If you can sustain a healthy frequency of around 5-10 daily Tweets or around 1-2 daily Facebook posts, you can easily gain a huge amount of followers. We found that it correlates to both higher a higher click rate and increase in followers/fans. Timing: The second most important aspect for us, was of course to improve the timing of postings. There are 2 great tools that I would recommend to do this, which are Tweriod and SocialBro. They both help you find the best times to share and are a great way to know when most of your followers are online so you can share at more optimal times. You purchased your first WordPress plugin back in February 2012 – Digg Digg. Since then you have worked hard on improving it. What can we expect from the plugin in the future? Yes, it was a lot of fun to pick up one of the most popular sharing plugins and then do everything we can to give it the Buffer touch to make it easier and more straightforward to use. For the future, we have a few things on our list that we want to build into Digg Digg, most importantly on the usability side and also on making the analytics side more powerful, so you can have better tracking of stats through the plugin. We are just finishing up a brand new iOS and Android version of Buffer right now, so hopefully we can get onto this soon afterwards! Can we expect you to get further involved in the WordPress community in the future – do you have plans to purchase any more plugins, for instance? At this point, we don’t actually have any further plans. Although nothing is ever completely off the table, we are going to focus a lot on Buffer itself as the core product and do everything we can to make sharing on Social Networks easier and more efficient. It might just happen that another WordPress plugin will be most handy to do this. Obviously your business is centered around social media, and more specifically, social sharing. What do you think the future holds for content promotion via social media? Ah yes, that’s a wonderful question. I believe the future of social sharing will be more and more centered around content marketing. So really, social sharing is just a channel that you use for a certain end destination. I believe a Facebook page or a Twitter account, they aren’t end destinations for a user or reader. They only help you to get to the really good stuff, the great videos, blogposts and slideshows. This of course requires everyone to learn and understand how to produce stunning content on the web. That I believe is one of the key things that we will see in the future, a tighter combination of content that you own and produce and social sharing. Not necessarily for self-promotion, but to get the full value from your social channels. Thank you Leo for taking the time to produce some wonderful insights! 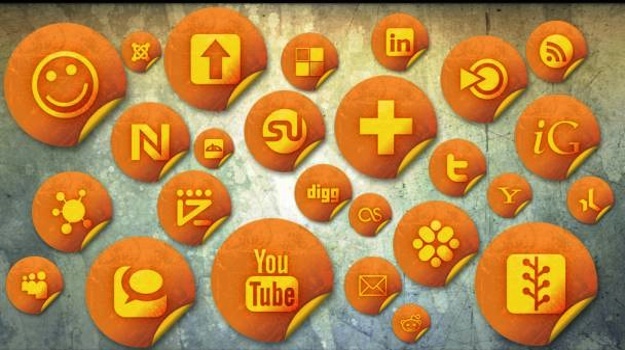 There is no doubting the relevance of social sharing when it comes to website promotion. Do you have any comments regarding Leo’s answers, or any suggestions as to how you approach social sharing? Let us know in the comments section! Great post Tom, awesome interview with Leo! If I can ever help with anything, or if you have any questions about Buffer, just let me know! I like the idea of delaying posts until the next day as not to alert people in the middle of the night. 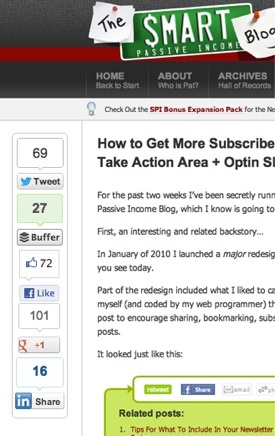 That alone is a solid feature of Buffer.